Salvador, founded in 1549, is the capital of the state of Bahia. For over 200 years, it was also the capital of Brazil. Nowadays, Salvador is a modern metropolis with two million inhabitants, yet it still boasts its colonial treasures of the past – the largest collection of baroque architecture to be found in Latin America – as well as a vibrant, modern culture that is reflected in its innovative music, dance, fine-arts and unique lifestyle. In every part of the city you will be surrounded by Salvador’s cultural heritage, a mixture of Portuguese and African influences. Salvador’s historic district, Pelourinho, offers a non-stop exotic blend of typical music, dress, dance and food, as well as impressive colonial architecture and baroque churches. The numerous beautiful beaches stretching across All Saints Bay offer unlimited possibilities for your spare time. Salvador offers students the opportunity to learn Portuguese and be immersed in the Brazilian culture in one of the most fascinating cities in the country. Students of the Brazil-Workshop will receive 4 Portuguese language lessons each day, and groups will have a minimum of 2 and maximum of 9 students in each class. In the case of only one student enrolling, the student will have two Portuguese language lessons each day (lessons are 50 minutes long). Classes are held Monday to Friday morning or afternoon with the exception of official holidays. 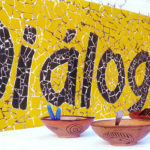 Dialogo Institute offers alternative Brazilian cultural activities: videos of documentary programs centering around Brazilian culture and Portuguese language, visits to the theater and local folklore events, Capoeira demonstrations (a kind of acrobatic dance mixed with martial arts), and Candomble ceremonies (the Afro-Brazilian religious ceremony). 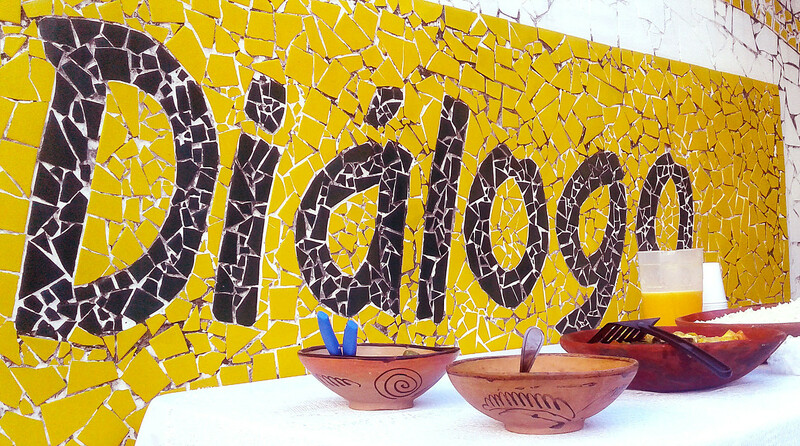 For students interested in learning more about Brazilian music, percussion, Capoeira or Afro-Brazilian dances, Dialogo can arrange courses locally. All students have free access to the internet at the school. After classes you can receive and send e-mails to your friends and family at home. The institute runs various Portuguese courses, depending on the students’ previous knowledge. These Portuguese courses are available between 1 and 36 weeks (1 + weeks for Top Speed courses). 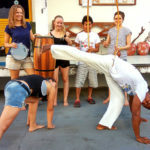 Brazil Workshop Portuguese Course: Standard Portuguese course consisting of 20 Group Lessons per week. Maximum of 10 students per class. Minimum enrollment: 1 week. All levels from Beginner to Advanced. Prices include school registration fees and course materials. **Notes: Prices include school enrollment fees, 20 Portuguese language lessons per week in a small group, placement test, teaching materials and certificate of completion. Each lesson is 50 minutes long. These Combination Portuguese courses are ideal for students who want to learn Portuguese intensively for one or several weeks. The student will attend the Standard Brazil Workshop Portuguese Course listed above and will have either 1 or 2 additional Private Portuguese Language lesson in the afternoon. Intensive Combination Portuguese Language Course 1 – Brazil Workshop Plus 5 Private lessons – Prices include 20 Portuguese language lessons per week in a small group, plus 5 Private lessons, placement test, teaching materials and certificate of completion. Accommodations are now priced separately! 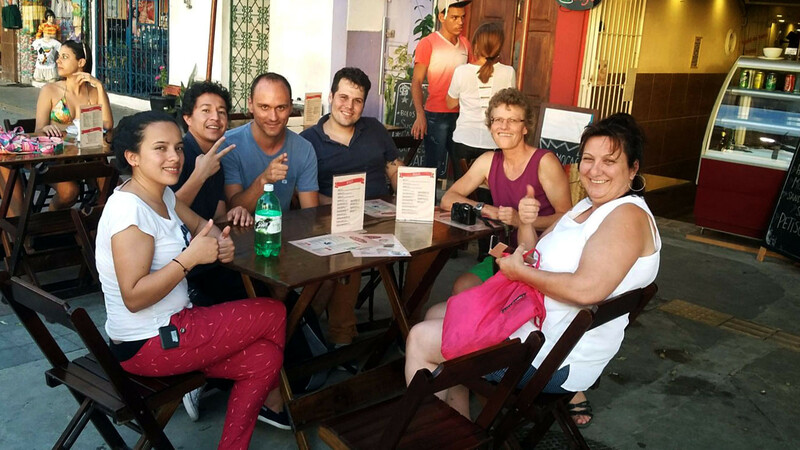 Intensive Combination Portuguese Language Course 2 – Brazil Workshop Plus 10 Private lessons – Prices include 20 Portuguese language lessons per week in a small group, plus 10 Private lessons, placement test, teaching materials and certificate of completion. Accommodations are now priced separately! Starting Dates for ALL Portuguese Courses: Every Monday! **Notes: Prices include: school enrollment fees, 20 Portuguese language lessons per week in a small group, plus 5 or 10 Private lessons, placement test, teaching materials and certificate of completion. Each lesson is 50 minutes long. The Dialogo Institute’s Top Speed Portuguese courses offer professionals the advantage of learning Portuguese fast by enrolling in a program composed entirely of private Portuguese lessons and adapted to their needs. These courses include all levels from beginner to advanced as well as refresher courses. The course can be adapted to the student’s needs. All Top Speed courses can start any Monday of the year. 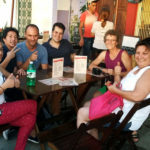 Special Top-Speed Portuguese Courses: This course comprises 2 one to one Portuguese language lessons of 50 minutes each per day (10 lessons per week). Prices include 10 Private Portuguese language lessons per week, placement test, teaching materials and certificate of completion. Accommodations are now priced separately! Intensive Top-Speed Portuguese Courses: This course comprises 4 one to one Portuguese language lessons of 50 minutes each per day (20 lessons per week). Prices include 20 Private Portuguese language lessons per week, placement test, teaching materials and certificate of completion. Accommodations are now priced separately! Intensive Top-Speed PLUS Portuguese Courses: This course comprises 6 one to one Portuguese language lessons of 50 minutes each per day (30 lessons per week). Prices include 30 Private Portuguese language lessons per week, placement test, teaching materials and certificate of completion. Accommodations are now priced separately! **Notes: Prices include: school enrollment fees, 10, 20 or 30 Portuguese Private lessons per week (see course descriptions above), placement test, teaching materials and certificate of completion. Each lesson is 50 minutes long. Official Brazilian Holidays 2018 (no classes held on these dates): 1 Jan, 2-6 March (Carnaval), 19 April, 1 May, 20 June, 7 September, 15 Nov., and 25 Dec.
Samba and Brazilian Dance Classes: FREE – Dance classes are offered free of charge! 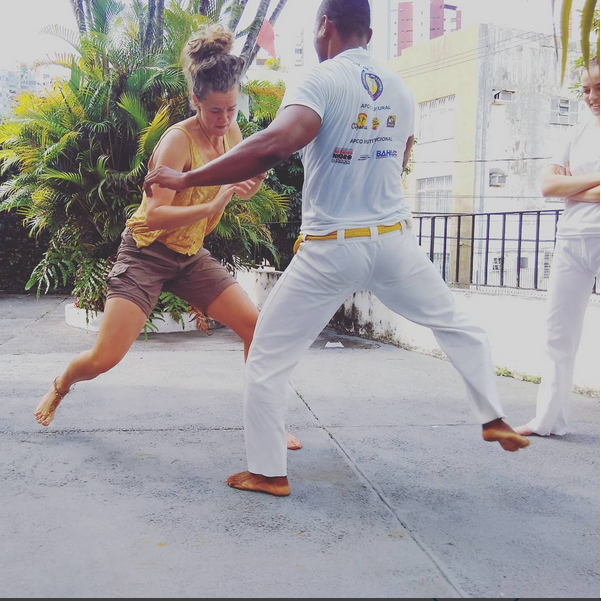 Capoeira Classes: FREE – Capoeira classes are offered free of charge! Yoga Classes: FREE – Yoga classes are offered free of charge! Cultural City Tours: Free of charge. 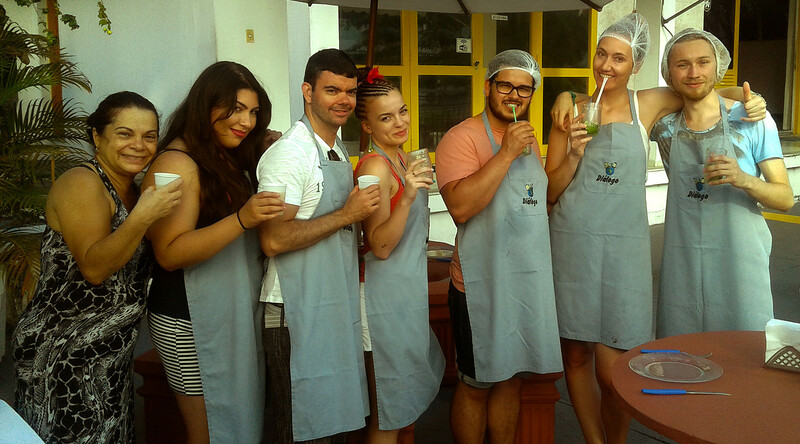 Brazilian Cuisine Classes: Learn Portuguese and experience the exotic Cuisine of Bahia! The guesthouse offers simple and cheap accommodation near the historic center. It is perfect for young people or backpackers who like to be close to the best nightlife in town. It takes the students 20 to 30 minutes by bus to get to the school or to the beach. Each floor has its own shower and toilet and the rooms are very clean. Minimum booking: 2 weeks. For those students who prefer to be close to both the beach and the Dialogo Institute, this is an ideal choice. The hotel is situated in a quiet area 5 to 10 minutes walking distance from Dialogo. It offers good-sized rooms with their own shower/toilet, fridge and air conditioning. There is a large shopping center nearby with book stores, music shops, restaurants and bars. Prices 2019: Single room: FROM USD 49 per day; Double room: FROM USD 44 per person/per day. 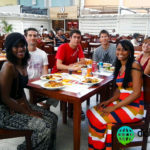 The third option offers the student the possibility of directly sampling the Bahian way of life, through the day to day contact with Brazilians which living in private home provides. All the homes have been carefully selected and are located within easy reach of the school. Single room with breakfast: USD 20 per day. Single room with breakfast and dinner: USD 25 per day. If you prefer a little more comfort, the school also offers an upgrade to a 3-star tourist class hotel (MarAzul). 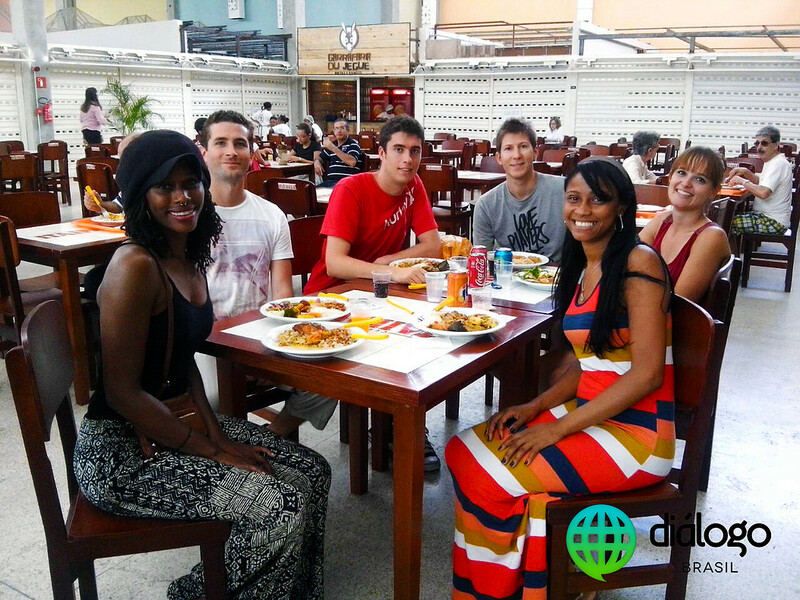 The hotel is located at Barra beach and is within 5 minutes walking distance of Diálogo. Please inquire about the extra charge, since prices vary according to season. Single room: from USD 94 per day (depending on season). Double room: from USD 82 per person/per day (depending on season). Accommodation prices include the first Sunday to the last Friday. Double rooms can only be booked by two people traveling together. During Carnaval ONLY host family accommodation is available at a special high season price: USD 280.00 for 5 nights, including single room and breakfast. No classes are held during Carnaval, but students may remain at the host family during that week. In Salvador you’ll find it difficult not to become immersed in Bahian culture, especially when you’re studying at Diálogo. Every 14 days the school holds group socials at a nearby bar or restaurant, where you can meet and get to know local Bahians. Diálogo also arranges weekly excursions such as cycling at Pituaçú or hiking through the beautiful white sand dunes of Lagoa Abaeté. 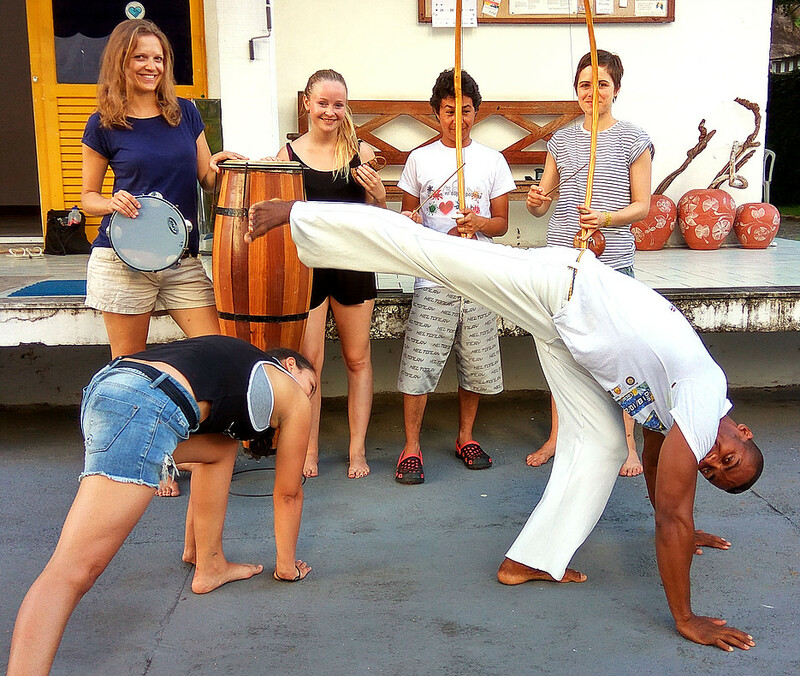 At the institute itself, they regularly offer documentary videos on Bahian culture and schedule visits to the theater, local folkloric events and acrobatic Capoeira dance performances as well as to Afro-Brazilian Candomblé religious ceremonies. Should you be interested, the school will also be glad to arrange for you to take classes in Brazilian music, percussion, Capoeira, or Afro-Brazilian dance offered at local institutes (see description and prices above). Dialogo recommends for safety reasons that students use an internationally accepted ATM card (such as Cirrus or Plus system cards), and only a small amount of cash (it is a good idea to carry some dollars with you in case of traveling to smaller towns where cards may not be accepted). Airport transfers are not included in the course price but are available upon request at an additional charge of USD 40 each way. If you would like to book a transfer please let us know when you submit your application form. Flight information must be received at least one week prior to arrival.